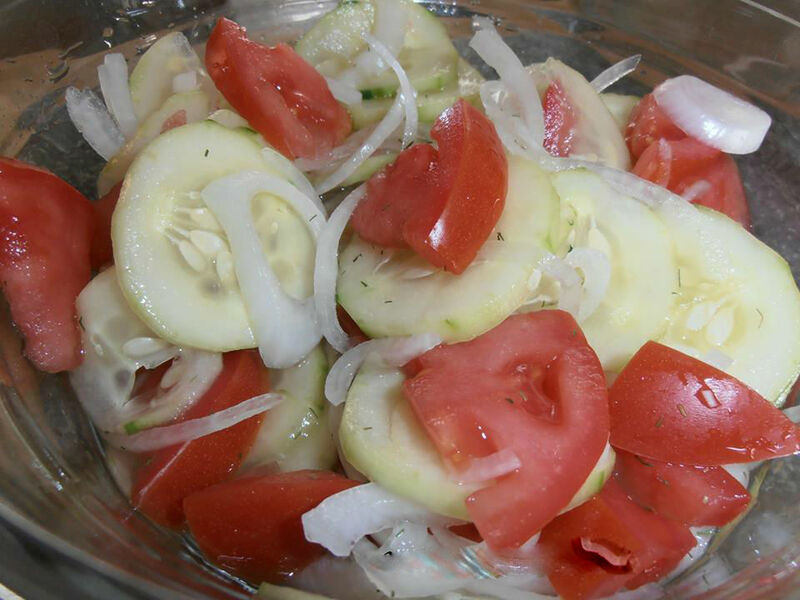 Put the cucumber, onion and tomatoes in a bowl. Whisk together the remaining ingredients and pour in the bowl. Give a good toss, cover and place in the fridge for 3 to 4 hours before serving.